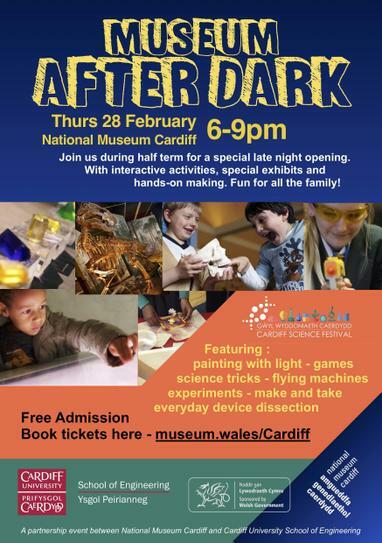 During half term, the School of Engineering will host an evening of family fun at National Museum Cardiff. The theme is Leonardo Da Vinci and there will be live exhibits, science busking, games, make and take activities and storytelling in the galleries. English/Welsh e-flyers attached. Thursday 28th February 2019, drop in 6-9pm.